One of world’s most romantic and inspiring cities, the eternal city of Rome, is among favourite holiday destinations for every real traveler. It would take days to see all this breathtaking Italian capital has to offer, and even then you’d discover something new for sure. However, if you’re lucky enough to spend enough time in Rome, you probably want to see the rest of Italy as well. 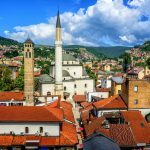 We bring you best day trips from Rome, so make sure you plan your trip well and to have enough time to check them all out, we promise you, you won’t be disappointed! 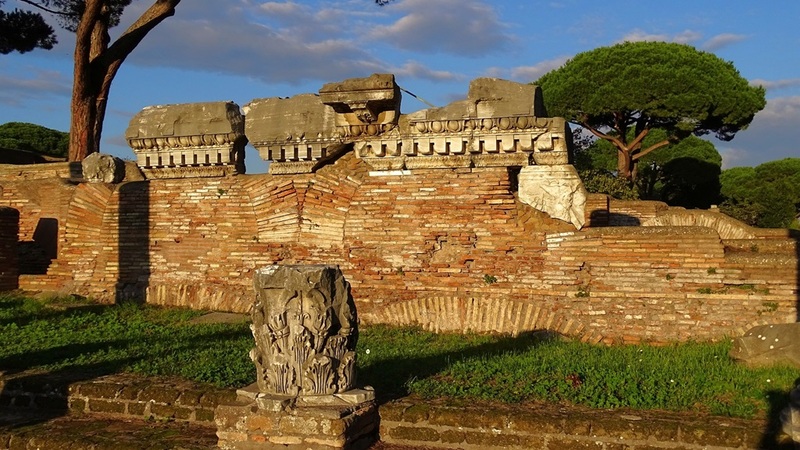 Ostia Antica is a site with preserved ruins of the ancient Roman port, only 30 km from Rome. It sits by the meadows by the Tiber River. You can spend hours wandering around the old streets, shops and houses of this enormous complex that is generally far less visited and known than Pompeii. Ostia sprawls over 10 000 acres around a main street and it is very easy to imagine the place back in the days of the Roman Empire. Highlights include the Terme di Nettuno, a steeply stacked amphitheatre, and the Thermopolium, a cafe where you can make out traces of a menu frescoed on the wall. You can also visit a museum Museo Ostiense and modern restaurant Monumento which are located in the middle of the site. Metro: Take the Line B to Piramide or Magliana. Train: Take the Ostia Lido train from Stazione San Paolo (next to Piramide metro station) and get off at Ostia Antica (25 minutes). Once a summer resort for ancient Romans and Renaissance aristocracy, the hilltop town of Tivoli today is home to two Unesco World Heritage Sites, Villa Adriana, the estate of Emperor Hadrian, and the 16th-century Villa d’Este, a Renaissance villa known for its splendid gardens and fountains. Nowadays, most of this open-air museum’s best architecture lies in ruin, but the surrounding is stunning. Explore the grounds and remains of the imperial palace and see mosaics, bath, a nymphaeum, fountains, colonnades, statues and the Maritime Theater, a pool with an island once used by Hadrian as an escape from the pressures of his government. Bus: Take the regular Cotral bus from Ponte Mammolo metro station (50 min). 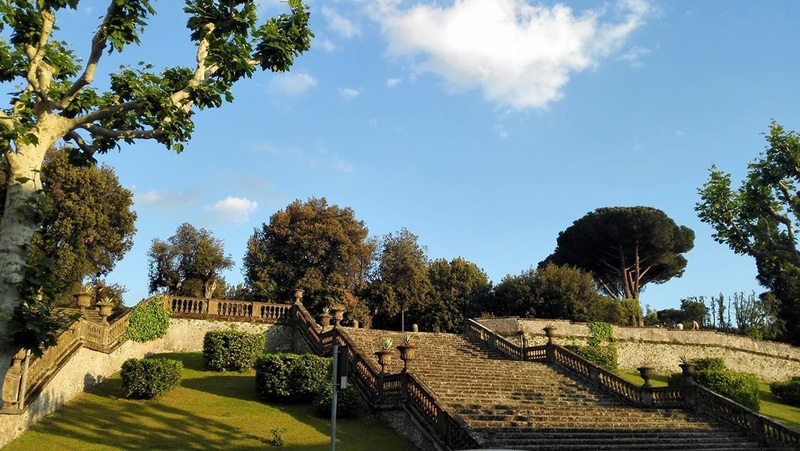 To reach Villa Adriana from Tivoli’s historic centre, take local CAT bus 4 or 4X from Largo Garibaldi. Train: There are train departures every 20 min from Roma Tiburtina or Roma Termini stations to Tivoli (45 min). Italy’s third largest city is one of its oldest and most artistic. The historic centre of Naples is a Unesco World Heritage Site and its archaeological treasures are some of the most important ones in the world. However, apart from all the churches, museums and castles, Naples has food. All kinds of food. 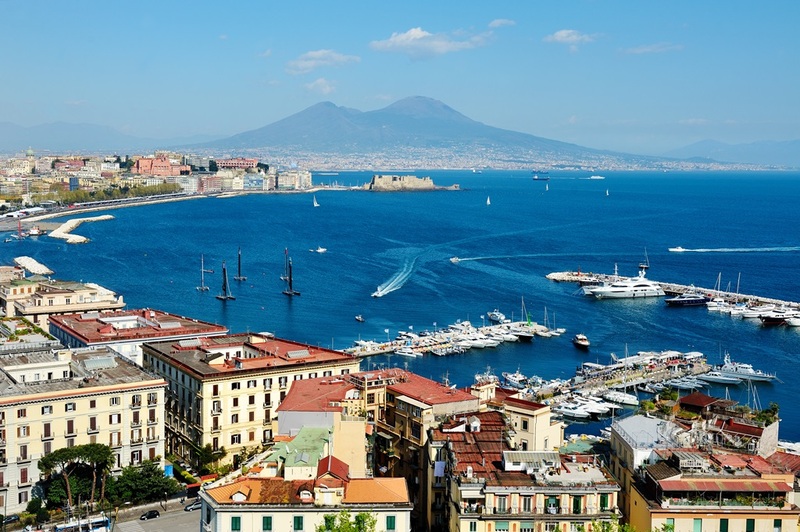 Being blessed with rich volcanic soils, a powerful sea, and centuries of culinary tradition, the Naples region is serving Italy’s best pizza, pasta and coffee, as well as most of its celebrated seafood dishes, street snacks and treats. 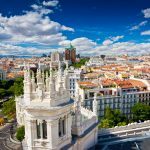 All in all, beneath those graffiti and occasional dirt, you’ll discover a city of breathtaking frescoes, sculptures and panoramas combined with spontaneous conversations and super-friendly people. Bus: There are approximately 15 departures a day on the route Rome – Naples. The journey takes 2,5 – 3 hours and costs about €10 per direction, depending on the carrier and time of departure. Train: You can catch a train from Rome to Naples every 20 minutes or less. The journey is about 2 hours long and one way ticket costs €12. 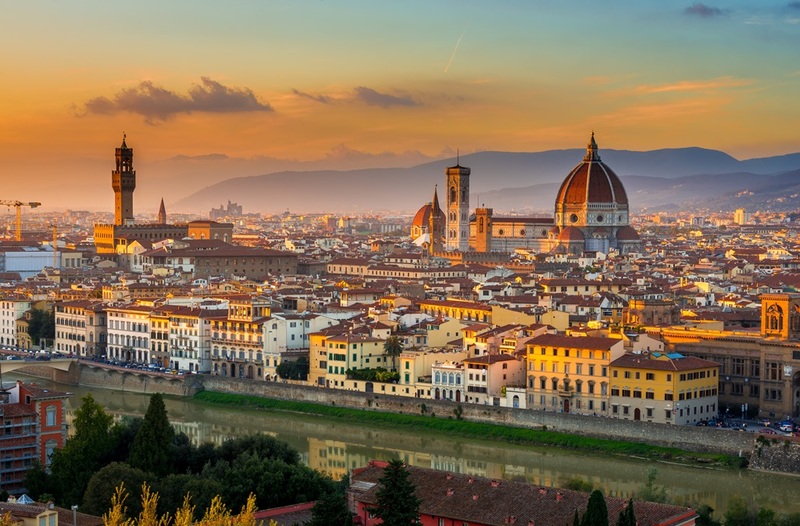 One day is not enough to see everything Florence has, but you’ll be able to squeeze in the main attractions, so make sure the celebrated trio is first on your list: the Duomo with its distinctive red-tiled dome, the Giotto-designed campanile and the Battistero di San Giovanni. Cradle of the Renaissance is a place to feast on world-class art and fantastic Tuscan cuisine. 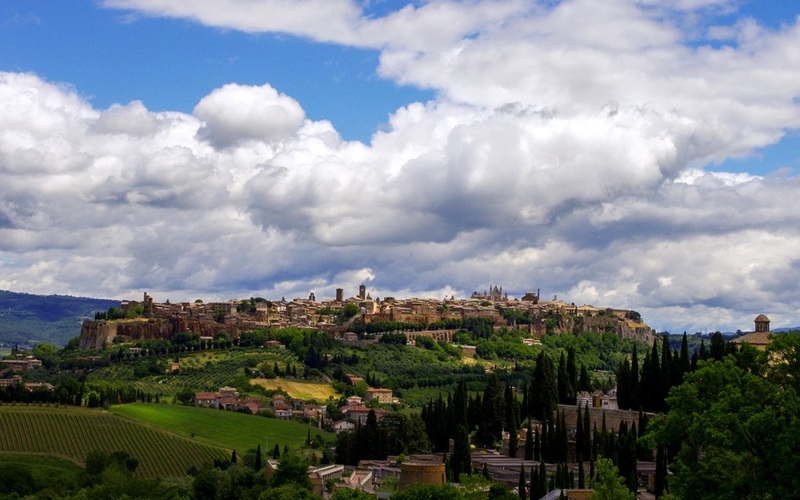 The city tucked amid the Tuscan hills once provided home to the powerful Medici family and inspired world-famous artists like Michelangelo and Brunelleschi. The artistic spirit has been preserved until today, and if there weren’t for fancy shops in Via Tornabuoni, you might think you had traveled back in time to the 14th century. Bus: There are many departures a day from Rome to Florence. The journey takes 4 hours and costs about €15 per direction. Train: There are as many train departures as well. It takes 1,5 hours to reach Florence and it’s a bit pricey, starting at €25 per way. Inhabited since Etruscan times, monuments and museums of Orvieto cover milleniums od history. Orvieto’s breathtaking Cathedral (duomo) with its mosaic facade is one of the best Gothic monuments in Italy. Spectacular inside and out, the zebra-striped Duomo features a mesmerising facade and an astonishing fresco cycle by Luca Signorelli depicting the Giudizio Universale. The region of Umbria is well known for its cuisine, so make sure to stop in one of many restaurants and shops to try out local specialties and buy a few souvenirs. Torre del Moro and caves at Orvieto Underground are also something you must see. A funicular connects the station and lower town with the medieval center above. Train: Regular trains connect Orvieto to Rome Termini station (1 hour 15 minutes). One way ticket is €8. Center of Southern Etruria and symbol of Estrucan art par excellence, Tarquinia is extremely charming medieval town. 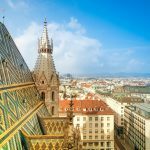 Its strategic location and proximity to major cultural centers and other bigger cities make it a popular tourist destination. However, the city is known for its Etruscan tombs and a fantastic Etruscan Museum. 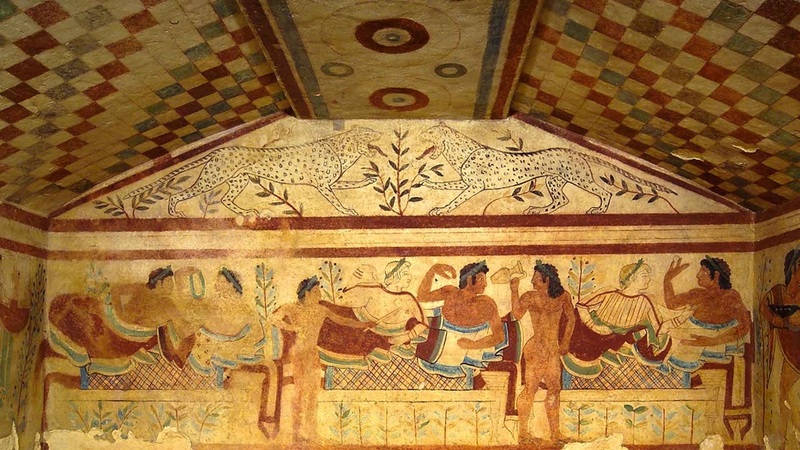 In 2004, the Tarquinia Necropolis was declared a Unesco World Heritage Site since it hosts an exceptional monumental cycle of painted tombs described as ‘the first chapter in the history of great Italian painting’. It comprises more than 6 000 tombs that cover the extensive hill of Monterozzi. Train: There are trains departing from Roma Termini and Roma Ostiense stations. The journey takes approximately 1 hour and costs €7 per direction. Mount Vesuvius, a volcano near the Bay of Naples, has erupted more than 50 times in the last 2 000 years. 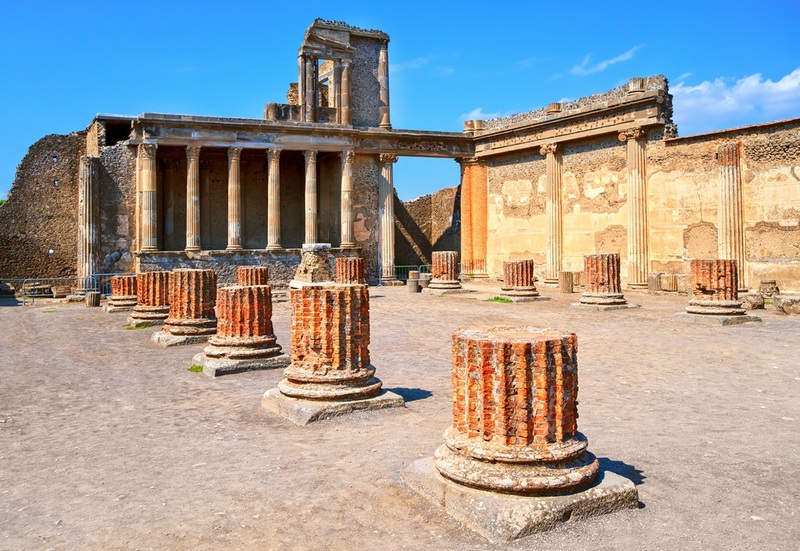 Its most ‘famous’ eruption, however, took place in 79 A.D. when it buried the ancient Roman port city of Pompeii under a thick layer of volcanic ash. Two thousand people died and the city was abandoned for centuries. When a group of explorers rediscovered the site in 1748, the city was mostly intact under all that ash. The remains have taught us a lot about everyday life in the ancient world although one third of the city is still buried. Today, Pompeii is an inevitable site for everyone travelling to central Italy and region around Naples. Train: Reach Naples either by bus or by train and at Naples Central Station go to the Circumvesuviana train ticket window and get train tickets for Pompeii Scavi. Situated just north of Rome in the region of Lazio, the Sabine Hills offer splendid scenery with rolling hills and tiny, medieval hilltop villages. This part of central Italy has preserved its original rural character more than any other place and is one of the least populated parts of the country, so it’s a perfect getaway from Rome’s crowds. Here you won’t see guided tours nor souvenir shops and you’ll find Italian people going about their everyday life, socializing in the piazza, drinking their cappuccino or doing some farming work. The best time to visit is in the spring when the entire area explodes in color with sunflowers, accented by the olive trees which produce some of the finest extra virgin olive oils in Italy. Train: There are trains connecting Rome to Sabine Hills. The journey takes 40 min. Amid green hills and volcanic lakes 20 km southeast of Rome you’ll find the Colli Albani (Alban Hills) and their 13 towns known under the name of Castelli Romani. Ever since ancient times they have provided an escape from the city’s hustle and bustle and still today Romans flee to the area on hot summer days. 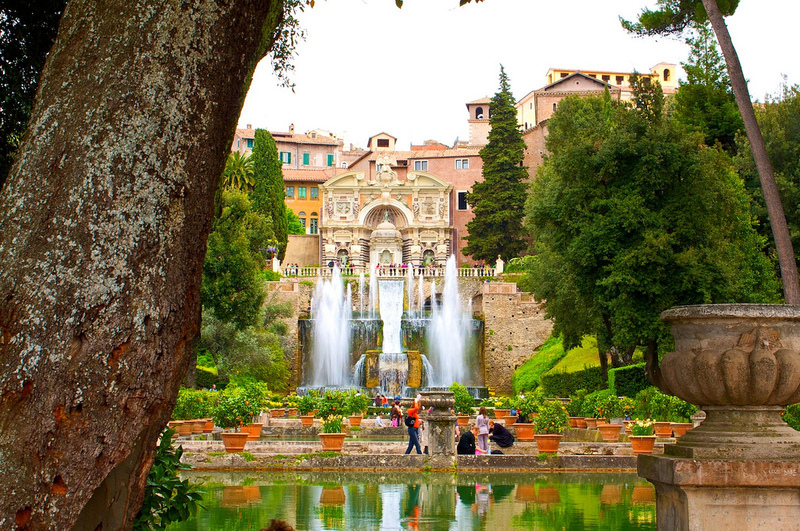 Highlights include the famous wine town of Frascati, hilltop Castel Gandolfo and the scenic Lago Albano. If you want a glimpse into the lost world of the Etruscans, head to the Unesco-listed Necropoli di Banditaccia in Cerveteri. The area looks peaceful and serene, but the earth here is still seismically active. Train: Direct connections serve Frascati (30 min) and Castel Gandolfo (45 min) from Rome’s Termini Station. Tickets are relatively cheap, starting at 2€. If you’re visiting Rome during the summer, is there a better day trip than a short beach vacation? Turquoise water and sandy beaches of Anzio will definitely win you over in a second. It’s also a place of rich history, where the allied forces landed in Italy in 1944 before liberating Rome from the German occupation. The city also has the remains of an ancient beach villa, which you can visit, and that was built by Emperor Nero milleniums ago, but the remains of which can still be seen today and occupy a large area overhanging the sea that forms part of a beautiful Archaeological Park. 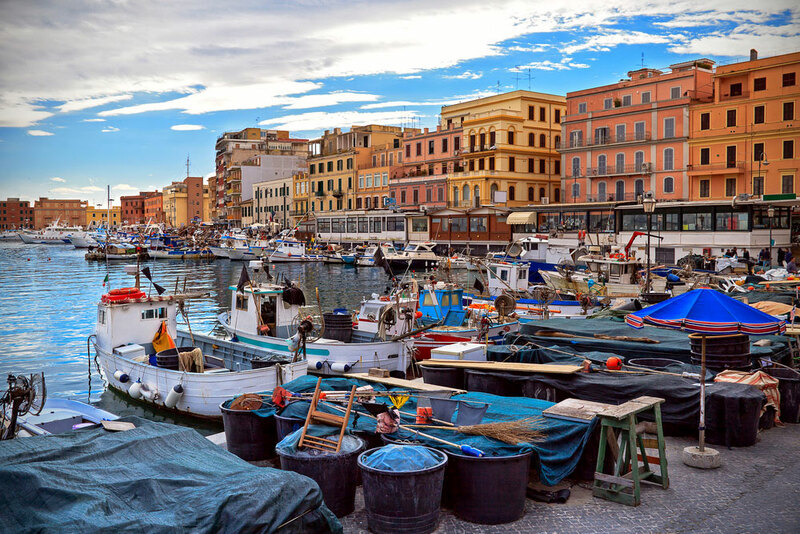 And to add to all that, Anzio is also a fishing port and the restaurants on the beach delicious and fresh prepared seafood. Train: Take the train from Roma Termini to Anzio Colonia. The journey is 55 minutes long and costs €3,50 per direction. 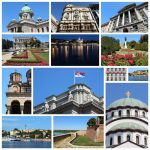 Hello, I found it very interesting and loving the tips of the blog of vcs! Valuable tips to plan your trip to Italy and avoid beginner mistakes. Congratulations on the site and this post will help a lot of people !! !